The Let It Be Foundation provides ongoing support and services to families of children diagnosed with cancer and other life-threatening illnesses throughout the sick child’s treatment, with a focus on the entire family. Donating a car to The Let It Be Foundation provides families with valuable support during a very stressful time. The Let It Be Foundation was inspired by Karla Asch-Rosen, who at the age of 15 was diagnosed with an inoperable brain tumor. Karla was a beautiful teen who had been involved in the school dance, soccer and was a normal teenager. Her heartfelt desire was to “just be normal” and share her faith with others. When a child is diagnosed, their siblings often begin to feel left out or abandoned, resulting in an array of social issues. 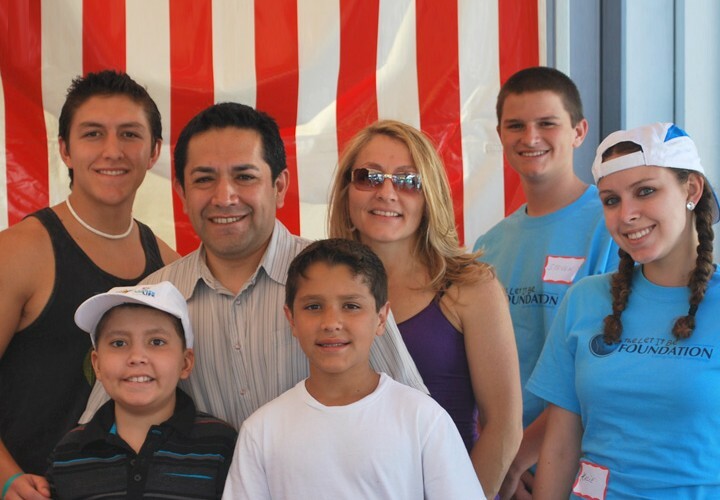 Our programs aim to include all members of the immediate family. It is also common that parents must immensely reduce their work schedule, or quit their job entirely; doing so can cause financial hardships. We work to be a helping hand throughout their journey. Children diagnosed are also often not allowed to attend school, removing them from their peers. Our Youth Team interacts with them through regular visits and events. By donating a vehicle to The Let It Be Foundation you will be supporting families during some of their darkest days. To learn more about The Let It Be Foundation or to make a monetary donation please visit our website at www.theletitbefoundation.org. To Donate your car now click here: Donate My Car to The Let it Be Foundation.